Developers of a Queens site plan to construct a glass-and-steel building geared toward medical, nonprofit and community-service tenants. Curbcut Urban Partners LLC and Platinum Realty Associates have unveiled renderings for a nine-story, mixed-use building at 38-01 Queens Blvd., a site that sits on the border of the Long Island City and Sunnyside neighborhoods. As nonprofit, arts and other public-sector organizations have begun migrating to the outer boroughs in search of affordable space, Curbcut saw an opportunity to fill that need, said David Lebenstein, executive managing director at real estate services firm Cushman & Wakefield, which is the leasing agent for the property. The 146,000-square-foot building will have some general office and retail space, but zoning rules require a large amount of the property be developed for community-service uses. Its design caters to these types of tenants with features such as multiple separate lobbies, entrances and elevators, said Aaron Malinsky, Curbcut’s chief executive. 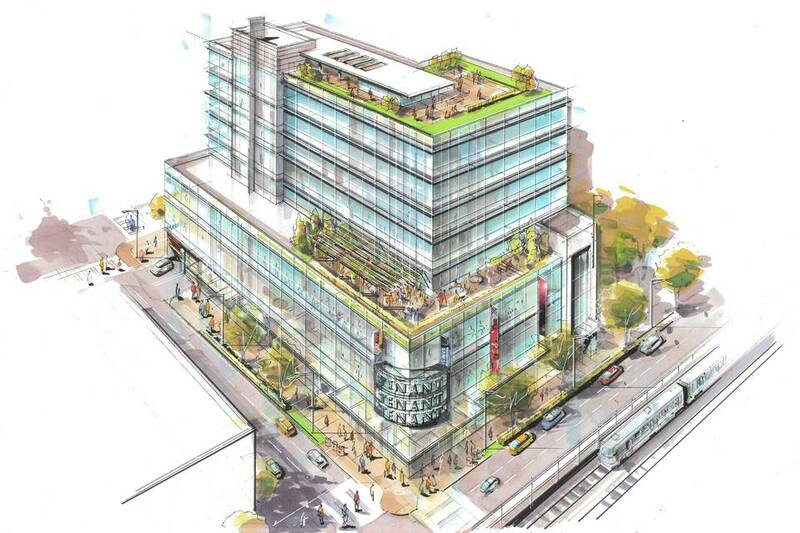 The building also will have a rooftop deck and outdoor terraces. Large glass show windows face the elevated 7 subway line. The project’s estimated cost, including the acquisition and cleaning of the site, is more than $65 million, Mr. Malinsky said. Space in the building will be available to lease or purchase as commercial condominiums.